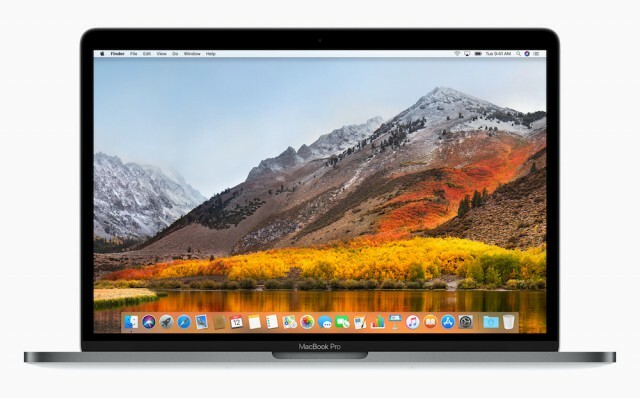 There are times when you may not want to use the App Store or the recovery mode to install macOS 10.13 High Sierra on your Mac. So Apple gives you the option of creating a bootable USB drive. You can use it anytime and anywhere to quickly get the operating system running on any compatible Mac. An Internet connection is not even required as everything you need is already on the drive. Creating a bootable macOS 10.13 High Sierra USB drive is very easy. All you need is a Mac, as the tools provided for the process are only available on OS X and macOS, and a USB drive with a capacity of 8GB or more. I will also explain how to use a dedicated third-party tool, in case you decide that this option suits you better. But first you have to download the setup file from App Store. Use this link to take you right to its landing page, or search for it manually in the App Store app. After the download is complete, Install macOS High Sierra will be available in your Applications folder. A setup wizard should have appeared by now -- you can close it. Also, you should backup the contents of the USB drive that you are using for the process, as everything that is stored on it will be removed. And, of course, make sure that you read the instructions carefully before starting. Apple offers a dedicated tool in OS X and macOS specifically for the purpose of creating a bootable USB drive. Unlike most tools that ship with the OS, it is not accessible directly from Launchpad. However, it can be accessed through Terminal, which you will have to open for this part of the process. Based on my experience, this is the best method of creating a bootable macOS 10.13 High Sierra USB drive. It delivers consistent results every time, and does not cause any issues. Because it is barebones, the tool does not provide any indication as to how much time is left until the process completes. It usually takes around half an hour in my case, but this depends on the speed of the USB drive -- the faster it is the sooner this step is over. DiskMaker X (currently at version 7) is the more user-friendly tool for the job. It automates the process of creating a bootable macOS 10.13 High Sierra USB drive, requiring little input from you. And the results are virtually the same with the aforementioned method. Unlike the official tool baked in OS X and macOS, DiskMaker X also lets you know how long the process takes. Like I mentioned before, this depends largely on the speed of the USB drive that you have, so, ideally, you should use the fastest one available, in case time is of the essence. Now that you have a bootable macOS 10.13 High Sierra USB drive, you should know how to install the operating system on your Mac. What you need to do is restart your Mac, and, right after that, press the Option key, and choose to boot from this USB drive. Afterwards, you can use the step-by-step setup as you normally would to install and setup macOS High Sierra.